Dr Helena Shepherd takes on our ‘Meet the Staff’ questions – as well as some extra ones about her experience of being a woman in STEM in celebration of International Women’s Day. 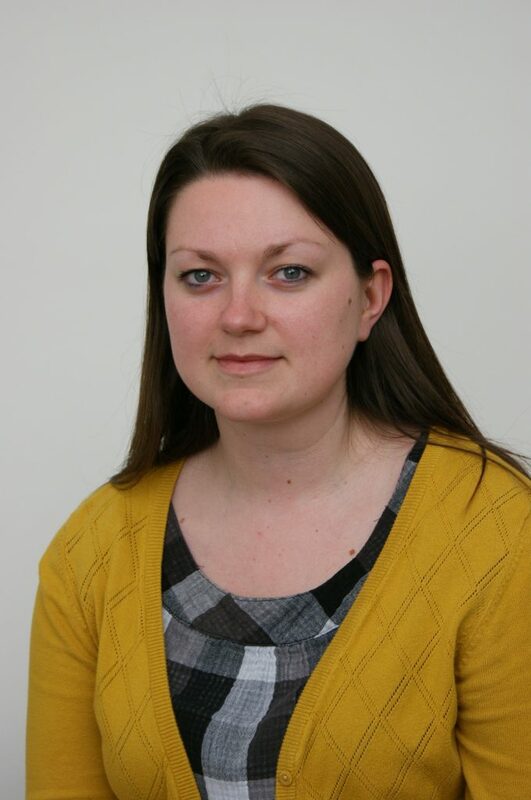 Meet Dr Helena Shepherd, senior lecturer in Chemistry at the School of Physical Sciences. The enthusiasm of students and colleagues as well as the possibility to make or understand something completely new. 3. When did you first realise your interest/passion in functional materials? Probably when I was a child – I’ve always been interested in understanding how things work. More recently, during the third year of my undergraduate studies I did a year abroad at Purdue University in the USA and undertook an extended research project. About half way through, my supervisor asked me what I thought we should try next and something just clicked. I suddenly understood why I had been studying chemistry – it had given me the tools to design experiments to probe these fascinating materials in new and exciting ways. I’m proud of a paper from my first Postdoc position that demonstrated an entirely new application for spin crossover materials as actuator devices. (DOI:10.1038/ncomms3607). It was the first time I had really taken control and designed an entire project myself and I was very pleased that it worked so well and that people are now developing the ideas further. Setting up my own group has also been very rewarding; my first PhD student is due to finish next year and I’m looking forward to supervising many more in the future. We have a really unique environment in SPS where chemists, physicists and forensic scientists have the opportunity to work together on interdisciplinary research topics. I personally would like to see a development of research at the interface between molecular chemistry and physics. The University of Kent offers great opportunity for staff development in both teaching and research. SPS has some world-class research facilities and a lot of enthusiastic undergraduates! Seeing students build their confidence and knowledge. 9. What is your proudest achievement outside of your work? Having travelled extensively, exploring new places and meeting new people – Guatemala and Vietnam are recent highlights that I would recommend to anyone. It is a very pretty city with lots of cafes, restaurants and pubs to visit. The theatre is also very good and there are plenty of small festivals and events going on. 12. If you could pick anyone – male or female throughout history, to discuss their research in physical sciences, who would it be and why? Dorothy Crowfoot Hodgkin. She is my ‘academic grandmother’, but sadly I never got the opportunity to meet her. However, I have long heard many inspiring tales of her incredible scientific achievements and passion for research. My office as a PhD student was full of models of molecules that she had made by hand to demonstrate their three dimensional structure. My favourites were the models of insulin, which took her 35 years to determine and vitamin B12, for which she won the Nobel Prize in Chemistry in 1964. I’d love to ask her how she stayed so passionate about a research question that took so long to answer! In addition to her scientific legacy she was also very politically active, and I would absolutely love to discuss this with her too. 13. Have you ever felt that being a woman in STEM has affected your career path or choices you’ve made regarding your career or personal life? It is incredibly difficult to say. There are all types of people in science and I have had many wonderful and supportive colleagues and collaborators over the years. While I’m sure most women in STEM can point to instances of being treated differently than male colleagues, it is very difficult to know if this has had a knock on effect on my career path. At undergraduate level the numbers of men and women studying chemistry are more or less even in many universities, so I don’t think there is necessarily any fundamental problem from schools. The disparity becomes more pronounced at higher levels of study and employment – the so-called ‘leaky pipeline’. It is an incredibly complex issue with many contributing factors, but I am glad people are trying to address these issues now. 15. Do you think there are any advantages to being a woman in STEM – or do you feel there is no difference? There is a very supportive network of women in science who are able and willing to offer advice to younger colleagues. 16. Do you think we need more women in STEM? I think any subset of society should be representative of that society in terms of gender, ethnic background, sexual orientation etc. 17. If so, how would you go about getting more women involved in STEM? I don’t think there is a single answer, again it is a complex challenge for the community, but one that is being actively addressed. 18. Do you think that SPS/ the university helps to create an all-inclusive environment and has in any way helped you overcome challenges associated with being a woman in STEM? There are many training courses available to all staff that help them to develop academic careers and overcome all sorts of challenges. Thank you Helena for taking the time to answer our questions!